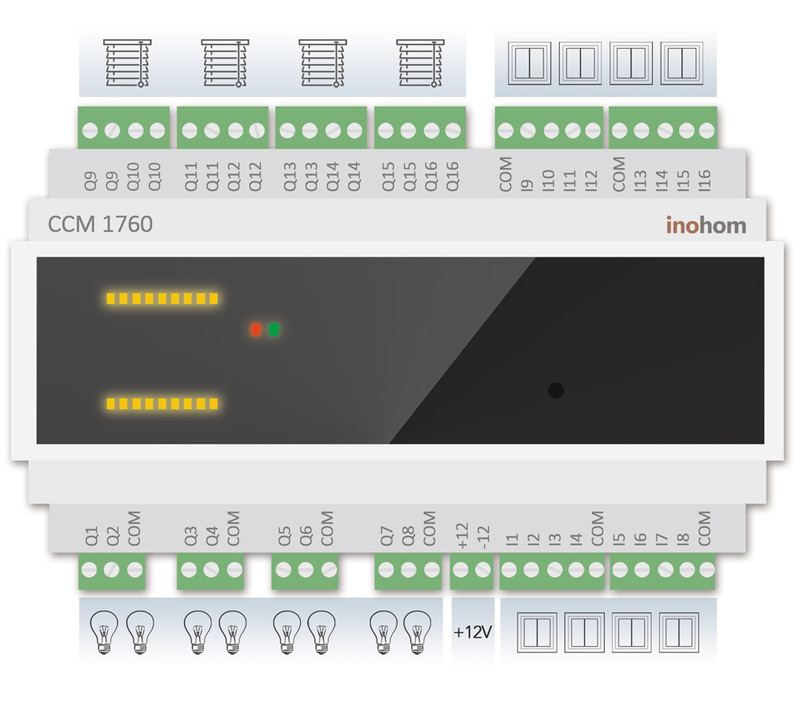 CCM17XX Central Control Module ensure brand-independent security with cabled sensor connection support in addition to wireless communication with inohom products. 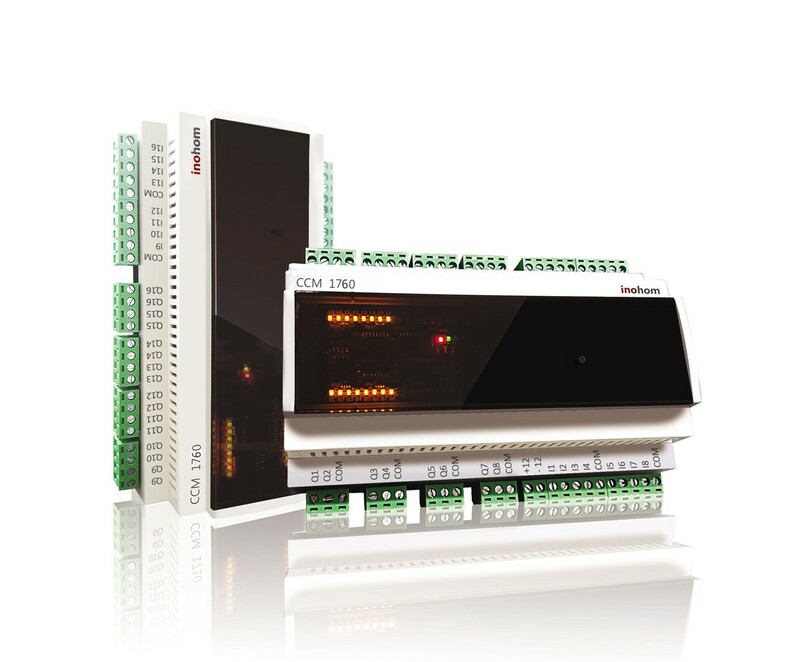 In addition to security function, this module has room-based heating control, plug, curtain-blind, and lighting control skills to provide comfort and savings at home. 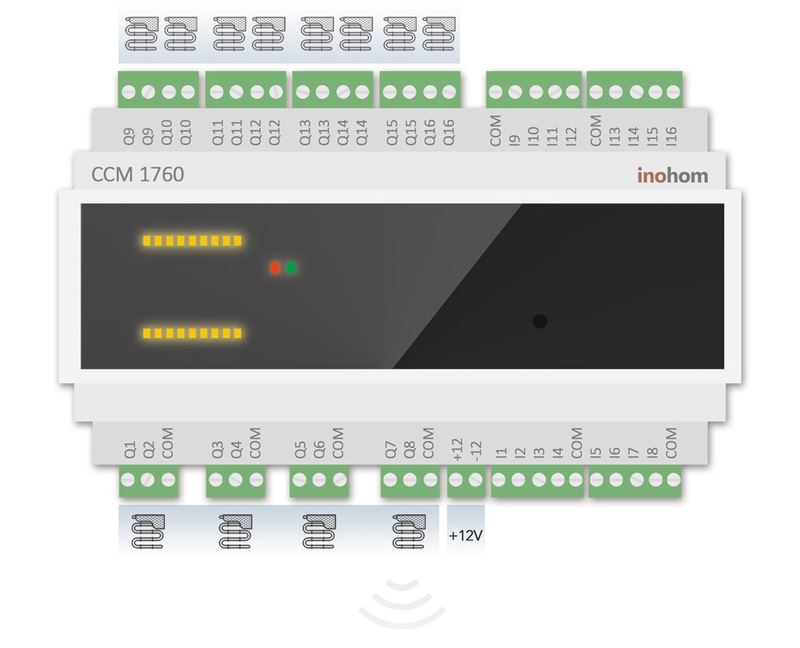 inohom CCM17xx has room-based heating control property. 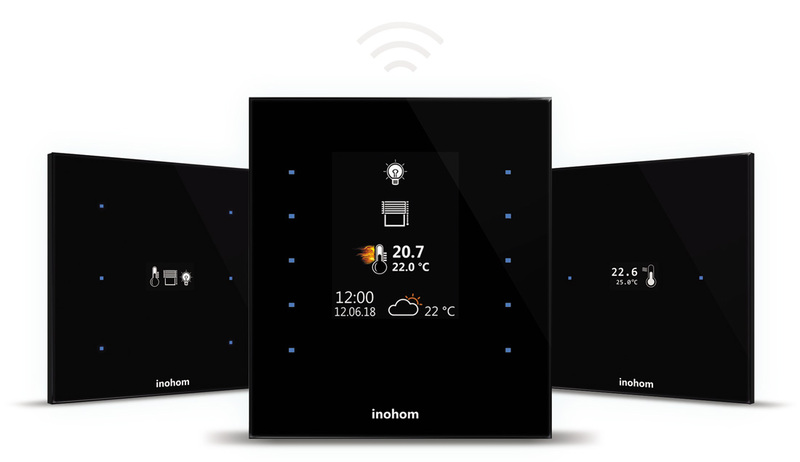 This module wirelessly communicated with all products that has inohom thermostat property, keeps desired rooms at desired temperature, and provides maximum saving and comfort. 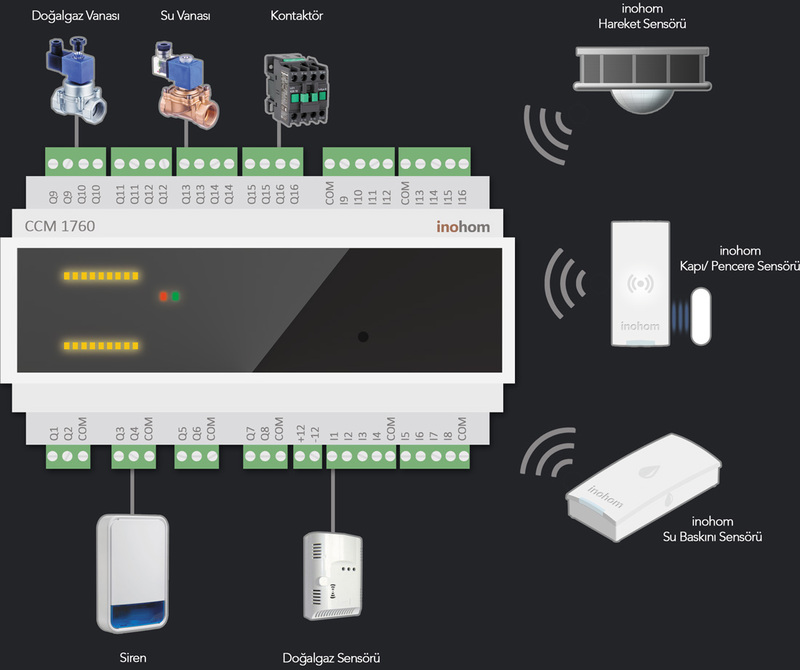 By communicating wireless sensors connected to digital inputs or with inohom wireless product group, this module controls all natural gas valve, water valve, main energy contactor, and siren to ensure your safety. Plug, lighting, curtain-blinds controls can be made via wireless communication infrastructure as well as mechanical switches connected to inputs. inohom products makes a difference with flexible operation skills.